Learn more about your customers by using this powerful application that tracks traffic patterns on your website. Real-Time Website TrafficThe number of people on your website right now, their geographic locations, the keywords and site that referred them, which pages they’re viewing, and conversions as they happen. AudienceAudience demographics, your mix of new and return users and their level of engagement, the browsers/mobile devices being used to access your website. 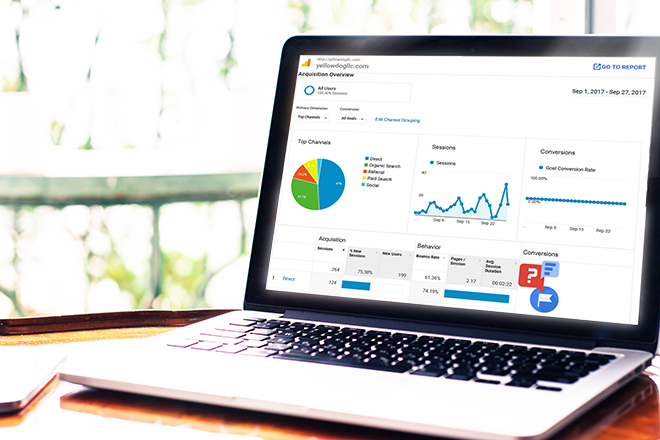 AcquisitionCompares traffic from search, referrals, email, and marketing campaigns. BehaviorExplore how people find and interact with your content. ConversionsSimilar to behavior, but defined by customized goals and events such as a website form submission, online purchase, calls from website, newsletter sign up, social media follow, etc. 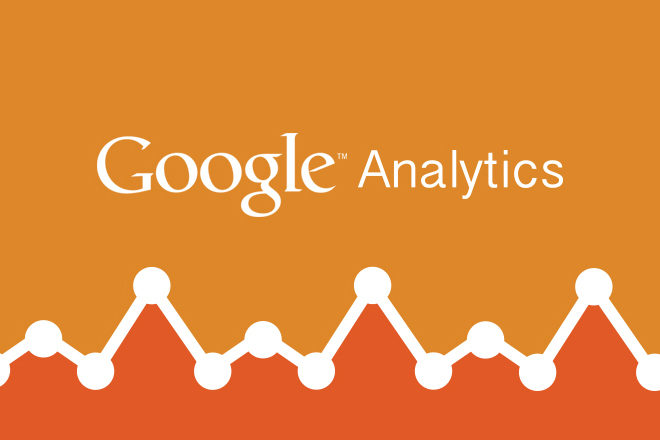 WHY IS GOOGLE ANALYTICS DATA IMPORTANT? We don’t think you’d establish a business and then expect it to blindly run by itself, right? A website requires the same attention, persistence, and care as your business. With Google Analytics, you are aware of your website’s performance, if your marketing campaigns are reaching your goals, and if your presence is driving an ROI. Detect trafficIs it increasing? Is it decreasing? Where are these people even coming from? We can track down the exact dates of traffic information and determine if there’s a correlation of why your current keywords are working/not working for you. Online Advertising ROIHelps us make sure you are earning more than you are spending on your advertising. Create Customizable ReportsFor the most part, Google Analytics lets us have the chance to find out pretty much anything and everything you’d want to know about who is visiting your site. We can provide as much or as little as you want to know (and if you aren’t sure what information pertains to you, we will guide you in the correct direction)! While Google Analytics is an excellent tool, there is so much to it that it can be overwhelming, confusing, and extremely technical. In fact, it can provide so much data that it’s hard to determine what even applies to your business. Let us help you with Google Analytics. We find that this is an offer the majority of our clients cannot refuse! Let us help you make your online business more successful. We are your St. Louis Google Analytics advisors, and we are ready to work with you! Call or email us today for a free consultation.